This is the number of sheep I want to get down to before winter! I have been asked by several people recently how many sheep we have and I haven’t had an answer. I knew ‘about’ how many sheep we had, but I was a little scared to get an exact number. I thought it was in the 70’s and that meant a lot of selling needed to be done. You can’t sell anything if you don’t know what you have, so I headed out to the pasture this morning to get a number and pictures. I was pleasantly surprised – the number is 62! That leaves only 12 to sell. Unfortunately, a few are too young still 🙂 but the rest are old enough. 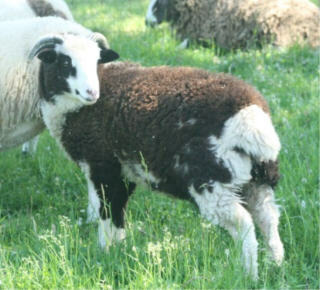 We have several wethers with beautiful fleeces that I would love to find homes for, including Smudge – look at all of that pretty black/brown fiber. These pretty girls are sisters – Sadie and Nelly. They are daughters of Petunia. 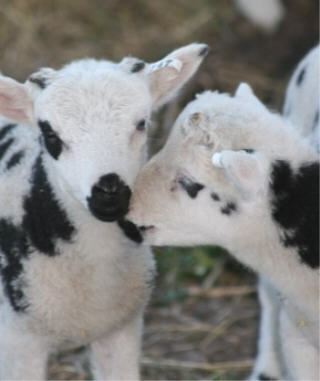 I need to start thinking about breeding groups but I am having a hard time since we just had more lambs. This year has made me realize that I really like lambing in January/February. The lambs grow so well on our lush, green, spring grass. That means only a month left to finalize who will be bred to who. 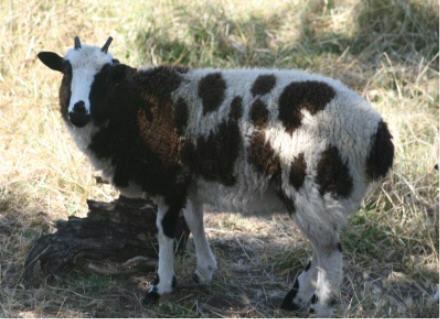 We will be breeding 5 rams to 30 ewes – so many decisions! Mine is 45…..and I think I will be at 44 and 4 are shetlands…so they don’t count? 🙂 Makes winter easier that is for sure! How did the rodeo go???? 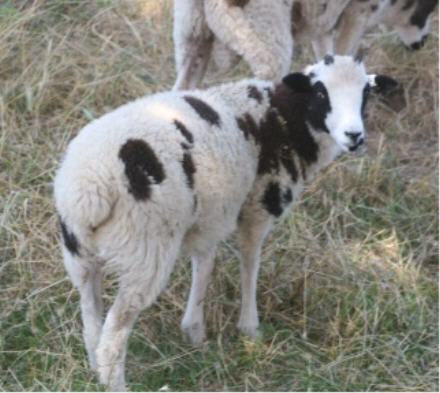 So let’s see, you’re trying to get down to 50 so you can add 50 more lambs next spring – right? hee! Lora – I’ll post about the rodeo soon. I will post breeding groups again as well. Me too–with a goal of 50. But right now I have…gulp…110.